A case filed by Chukwudumeme Onwuamadike, popularly known as Evans, has been quashed by a court in Lagos. 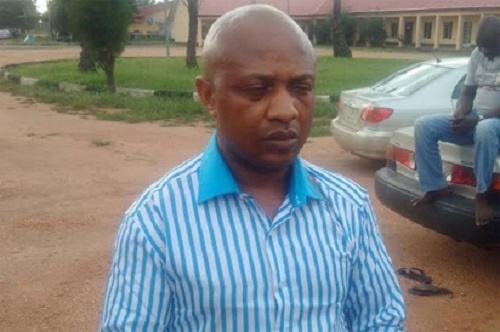 Chukwudumeme Onwuamadike, popularly known as Evans, has lost a bid to stop his trial. Evans lost the case filed at a Lagos High Court in Ikeja on Friday. The court ruled that he must face trial over charges preferred against him by the Lagos State government. The 'billionaire kidnapper' is facing charges of conspiracy and kidnap of one Duna Donatus. Ruling on an application brought by Evans to quash the 2 count charges, Justice Hakeem Oshodi, said a prima facie case had been established against him. Justice Oshodi ruled that there was no merit in Evans's application and ruled it out. His trial will continue, he said. After the ruling of the judge, prosecution called his first witness, Dunus Ausalau , a trader at the Trade fair complex.